Red Rubber Inspirations: Red Rubber Designs is looking for two new members to join our team!!! Red Rubber Designs is looking for two new members to join our team!!! 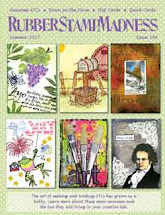 Red Rubber Designs is looking for two new members to join our Inspiration Team at Red Rubber Inspirationals, our weekly stamping challenge blog! Deadline for submitting your application is January 31, 2015. > Host one challenge (Inspirational) per month, along with the various duties included in hosting a Red Rubber Designs stamping challenge: Creating samples, posting on the Red Rubber Designs blog, promoting your challenge, commenting on participants submissions, etc., per the Team guidelines. > Submit a project featuring stamps from Red Rubber Designs in at least one outside challenge per month. > Promote Red Rubber Designs and its stamps through your blog, social media and online papercrafting forums, galleries & communities. > Commit to serving for a period of 12 months, starting March 2015. > You love rubber stamping and love sharing stamping ideas and inspiration with others! > You are a professional, committed to the team and to promoting Red Rubber Designs and its stamps. > You are proficient and active in social media, including Facebook, Pinterest, blogging, Twitter, Instagram, etc., and you feel comfortable actively promoting Red Rubber Designs through these channels throughout your term. This is a must! > You actively participate in at least one large online stamping community (posting in the forums and adding your stamping projects to the gallery). > You enjoy stamping challenges and participate in them regularly. > You must reside within the United States, as international shipping is cost prohibitive at this time. > High-quality Rubber Stamps from the Red Rubber Designs store! 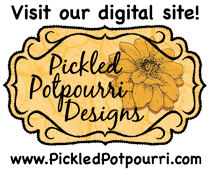 > A substantial discount to the Red Rubber Designs and Pickled Potpourri (Digital) Designs online stores. > Links to the online craft/stamping forums, galleries and/or online communities that you participate in, along with your username for each. > Links to your Facebook, Twitter, Instagram and Pinterest pages. Please include your usernames. • Have ever been on any previous design teams? • Please tell me why you are the best candidate for our Inspiration Team.